Why not? Let's give it a try. Obama, take down that fence around the White House and let's see how that works out. If no borders are good for America. It should be good for you. Obama's desire to destroy America is no secret--especially to his family and most particularly to his alleged offspring. What I see happening is this, and you can read this all over the girls' faces:there is a malevolent rage building in this family that will cause it to self-destruct. The girls didn't sign up to be born--but they were. They didn't sign up to have a sociopathic narcissist for a father--but they do. They have been denied normalcy by any definition of the word, and the day is coming when they will respond. 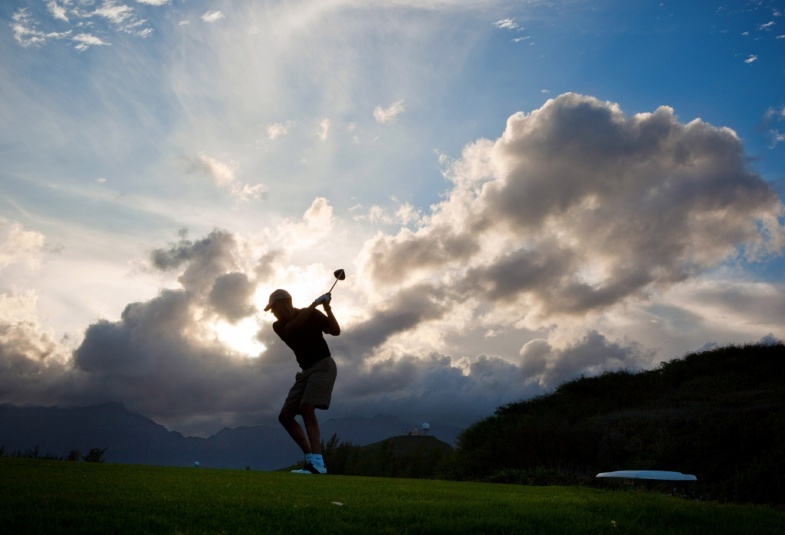 Hey, Obama, come the Revolution, there ain’t gonna be any golf courses! That oughta get his attention. Not to worry, the members of the global Inner Party will always have golf courses. Country clubs would make great housing facilities for the immigrants, IMHO. But it's still an Act of LoveTM, right, Jeb? The cover of ‘pity me for my dead boy’ as a Muslim flails about the Constitution like an IED at Donald Trump, is quite the theatrical performance which catches the VFW in the web of ‘pity me because my boy wore an American uniform’, like other Muslims like at Fort Hood. Such is the world of Khzir Khan, a world of the more one stops being blinded by tears salted by deception of the Clinton campaign, one begins to notice such things as how well connected this Muslim immigrant is, how well paid he is, and oddly how he seems to have many spots which seem to change leopard colors depending upon the venue. One day the spot is Hillary Clinton performer. One day it is importer of Muslim slave traffic. One day it is Muslim voter registration to overthrow the US elections. ....and those are the spots we know, and it begins to explain why Khizr Khan is now begging for the peace and serenity, after his jihadi attack on American Donald Trump hide in the shadows and ply his trade and craft. In the world of Khzir Khan we find an immigrant Pakistani, who made the long road to America, and hit the American high rise best address in the world, in buildings which mark the greatest skyline in the world. The lodgings of a Muslim import business.......oh yes that is what Khzir Khan specializes in as an attorney now, is human traffic. Khzir Khan literally is in a business of selling United States VISA’s to Muslims or in short, Khzir Khan with full protection of the Obama regime, is the New York Coyote of Islam human traffic. He is the equal to the Mexican coyote bringing in loads of Mexican traffic and dumping them into America. I was surprised that a N.Y. law office would list a D.C. telephone number, so I called it to check and was told by the man who answered that it was not Khizr Khan’s law office. The man who answered would not tell me who it was. Encouraging American Muslims to participate in the democratic process at local, state and national level and vote on the election day. I did some further research into who registered this domain name and when. Khizr Khan registered it on July 23, 2016. We find in Khzir Khan a reality of his being a front man, for now we knows Muslim terror oil money in the Mideast of OPEC, littering America with mosques, and now the image Obama Islamic invasion of the West. We find that Khzir Khan is linked to the Islamic politicization of America. We find that Khzir Khan is linked to Huma Abedin in the Muslim Brotherhood. But what we have not yet found is who is paying for MADISON AVENUE addresses, as they do not give those away. Apartments in this vicinity are almost 4000 dollars a month. This 15th floor is home to other businesses. CyberRiskPartnersÓ is a Cyber Risk Solutions company offering CyberFactorsÔ analytics, intelligence, and marketplace solutions for superior visibility, quantification and transfer of cyber risks. CRP is a proud Veterans-owned business. 415 Madison Avenue, 15th Fl. With most interesting rental terms............$55 a year? What no one is questioning now, except the Lame Cherry is the reality that Khzir Khan is one of those Obama voters responsible for keeping 95 million Americans unemployed. Khzir Khan is one of those responsible for bringing in foreigners so Disney can fire Americans after the foreigners have been trained. What we have not yet discovered is how many of Khzir Khan’s Muslim retches who have purchased United States Citizenship, are agents of Islamic terrorism, carriers of TB diseases, rapists and murderers.......besides keeping 95 million Americans from being employed, but receiving 20,000 Obama bonuses for being smuggled into America. How much money is Hillary Clinton’s slave trader, Khizr Khan, making off of the image Obama displaced from the Obama Clinton wars against Islam? Yes Hillary Clinton has made the questionable world of the Khan family as their poster children. Let there become now a call for the FBI, INS and IRS begin an investigation into how another very interesting businessman has become an associate of the Clintons. One day it is someone donating to the Clinton Foundation and the next it is LaVoy Finicum murdered. One day it is Chris Stevens sent to Benghazi over Clinton Obama weapons deals and the next he is dead. One day it is Khizr Khan on the Democratic National Convention smearing Donald Trump with the blood of a dead Muslim son, who had his men exposed to a suicide bomber in Iraq, and the next it is Khizr Khan running for cover as more and more of this criminal enterprise is literally selling American citizenship for profit to Obama imported Muslims. Once again another Lame Cherry exclusive in matter anti matter. Both parties have supported a policy of non-enforcement of immigration laws and borders for 30 years. Fraudulently documented foreigners are essential for their plans. They are stealing our country from us right in front of our faces. No, we're giving it to them. Part of the Soros plan? Certainly! America has spat in God's face for a half century, at least. We think we're going to get a pass? Is it coincidence that the same race of people used to punish disobedient Jews are the ones afflicting Western civilization? The article mentions; ....in Mexico, officials have set up a detention camp in Tapachula, near Mexicos southern border with Guatemala. Other than that; what is done with the ones that are caught in the US? Are they at Gitmo? Are they in prison somewhere else? Are they released so they can sneak back in again? Obama’s reinforcements are pouring in over the border. Where did expect that “civilian force just as powerful as the military” was going to come from? Hint: he didn’t have Americans in mind for those forces. Let's call it what it is, shall we ? At the least, there should be NO recurring public benefits w/o citizenship. If the bleeding hearts want to help so badly, let 'em do it out of their own damned pockets. I'm also guessing there are those who'd say that, as with other non-uniformed enemy combatants, they could be subject to being hanged. Probably wouldn't take long for THAT bit of news to spread . . .
Hey, Obama, come the Revolution, there aint gonna be any golf courses! They'll be turned into dumping grounds for those who will be first up against the wall when that revolution comes. We’re taking it back in November. Go Trump, win win win.